Roarockit is a small company with many friends and associates. 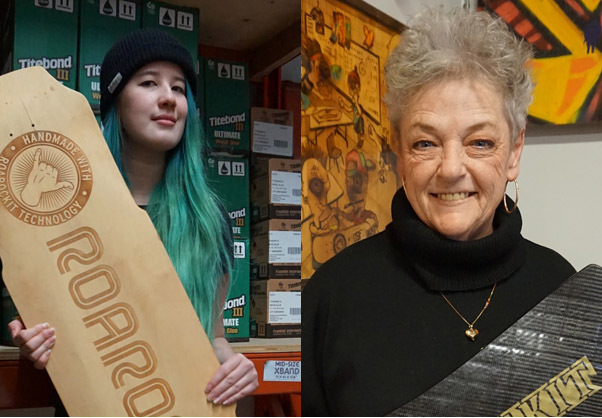 Over the past 16 years, people have been closely associated in many different ways. We have always surrounded ourselves with supportive friends, family, professionals and entrepreneurs. The creative spirit is a huge part of our Roarockit team, and every person involved has made their mark in some way, and we are grateful for their contribution. 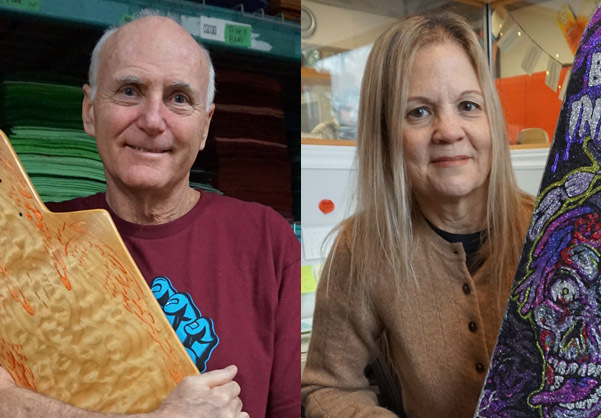 With Ted's background as a professor and Norah's in graphic design, both are passionate about helping people. Ted recognizes that the teaching process is a two-way street, the more we interact with people, the more we learn! Mars and Nick keep the orders flowing. Mars is also the resident expert for teaching. 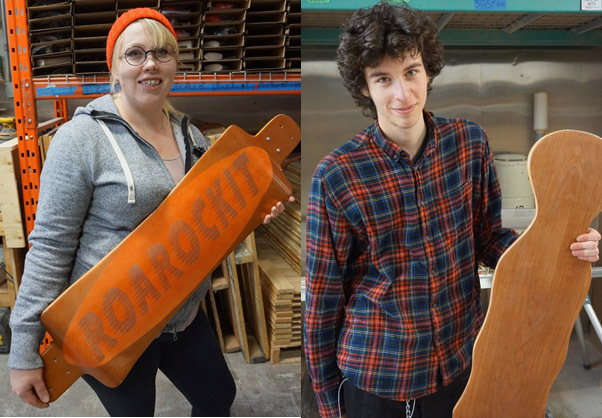 If you call into Roarockit you will most often speak to Mars who is the best person to help you out with any questions you may have about board building and ordering materials. Ellie wears many hats at Roarockit, from marketing to operating our heavy machinery to adding her creative ideas to the mix. Tamalei is the current skater of the group. He can make the most perfect box for veneer in an instant. Taryn is an industrial designer who also has a flair for creative photography, editing and social media skills. Jan is a seasoned education specialist. Talk to Jan if you want to know how to get Roarockit into your classroom or group. The Team is in Europe! Sarah and Nico bring Roarockit products and support to the entire EU. 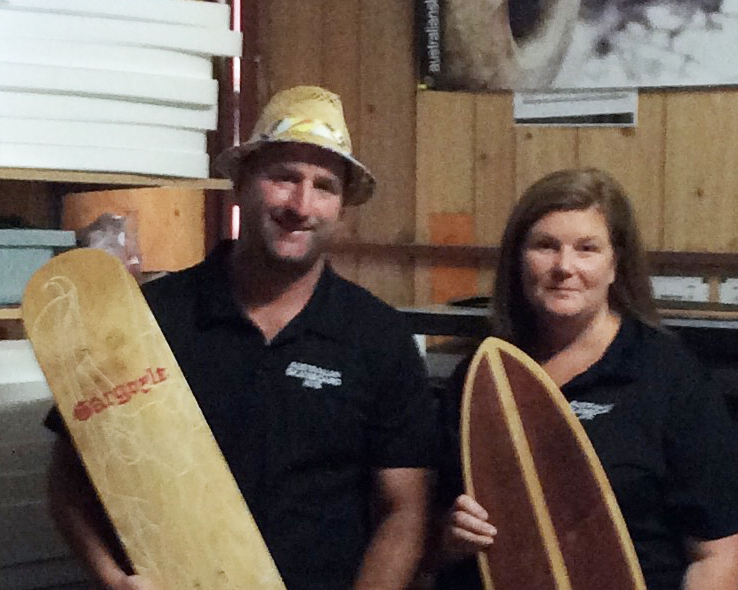 Trained in Toronto, and experienced in board building, this dynamic duo travel to great lengths to get builders in Europe making their own custom boards. 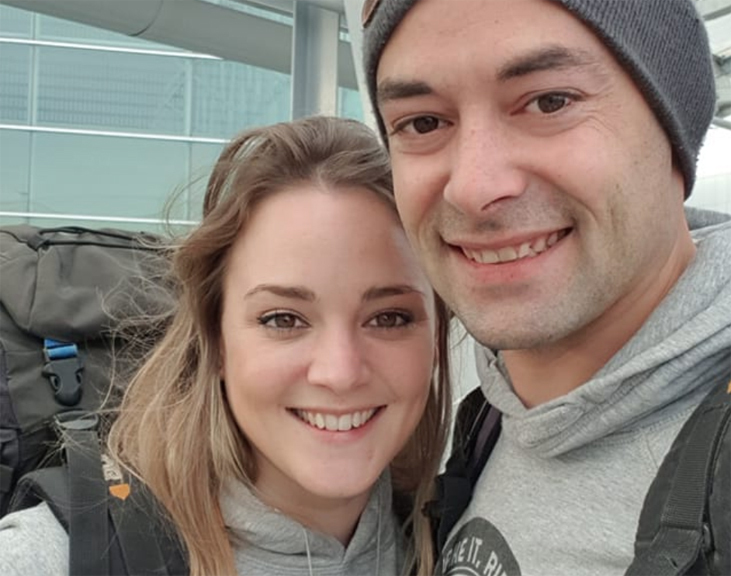 Justin and Belinda have been offering Roarockit kits and the hard-to-find Canadian maple veneer in Australia and New Zealand for many years. 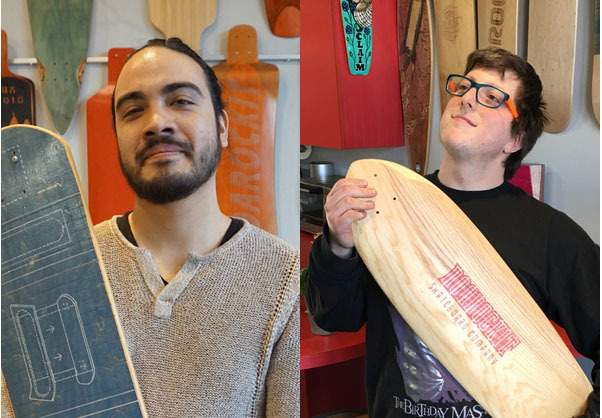 As a teacher, Justin is very active with schools and supports his fellow teachers by providing expert advice on how to bring skateboard building into the classroom. Affectionately known to us as Crazy Hornet, Ian Samoisette proudly represents Roarockit to the French-speaking community. 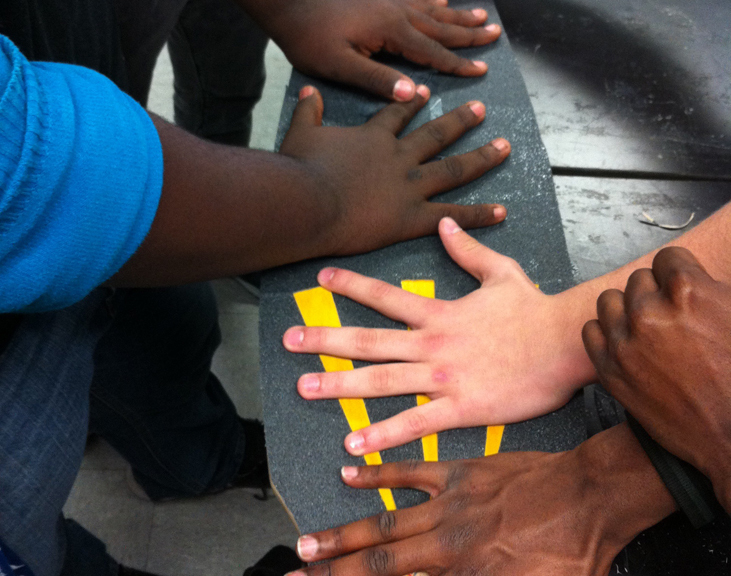 Ian is a high-school teacher with an amazing amount of energy and skill and leads his class of skateboard builders to achieve amazing results with their projects.